Each post in this YoParks! series will feature an interview with a National Park ranger or historian. My hope is to spread the word about our amazing National Park system and encourage you to visit a park near you! Today’s YoParks! post features Booker T Washington National Monument. What is your name and how long have you been at the park? My name is Timothy Sims and I am the Chief of Interpretation & Resource Mgmt. at Booker T. Washington National Monument. I have worked for the National Park Service for 26 years. What is the best thing about working for the National Park Service? The best thing about working for the National Park Service is having visitors learn about and enjoy the parks. When did your site become a National Park and what role does it play in American History? This site became a National Monument in 1956. The monument interprets the meaning and significance of Booker T. Washington, one of the most important and influential African American leaders of the late 19th and early 20th century, his educational philosophies, and his role as a pioneer Civil Rights leader and relevance to today’s discussions of black education, equality, and race relations in America. The site also compares the realities of a Virginia slave-holding tobacco plantation in contrast to mainstream perception. The site interprets how Washington’s early experiences in slavery helped shape his character and the man he would become. What is your favorite fun fact about the park? 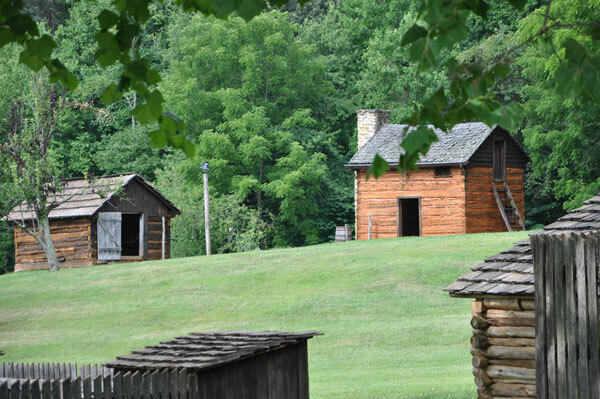 Because of it’s title as a National Monument, many visitors arrive expecting to find only a monument to Washington and are pleasantly surprised to find so much more: a living history farm, exhibits, a hiking trail, picnic area, and more! When planning a trip to visit your park how much time should someone allow? Are there any special events coming up at your park? Visitors should plan at least one and a half hours. The next special event here at Booker T Washington National Monument is Harvest Time on Saturday, Sept. 19. Why should someone visit your National Park site? You should visit our site to learn more or be introduced to Booker T. Washington. So many Americans have not learned about his life and times through their own education. The site has also become an oasis of unique and beautiful natural resources that are quickly disappearing from the surrounding landscapes due to changing land use. What is a little known fact or tip about your park that someone cannot find online? The park shares a unique identity as a landscape of slavery, homefront Civil War site, and Emancipation site. What is the most common question you get asked? Who was Booker T. Washington’s father? How did he get his middle name Taliaferro and last name Washington? Where was the “big house”? The funny thing about those questions is…we still don’t really know the complete answers. Booker T. Washington states in his autobiography Up From Slavery that when he is finally able to attend school, he notices the other children are giving a first and last name when called on. When he is called on, he realizes he only has a first name and chooses Washington as his last name. But he never explains why he chose Washington. He says that he later learns that his mother had chosen Taliaferro as a name so he places that as his middle name, still with no explanation as to the origin on the name. But those still remain two of the most commonly asked questions. The big house burned in 1950. There is a footprint of flat stones outlining the space where the big house once stood and there is a ghost image of the house in the park brochure placing it in proximity to the reconstructed kitchen cabin that does currently exist on the landscape. But visitors still have difficulty at times identifying that the stone outline represents the former site of the big house. The park hopes to one day reconstruct the house with funds raised by the park’s Friends Group or use a similar home from the era that is relocated from another farm. Now for the travel planning nitty gritty: Do you have restrooms at the visitor’s center? Is there food options? Is there a fee to enter your park? Is there a gift shop? We have exterior, handicap accessible bathrooms at the Visitor Center. Food options are close by at Westlake Towne Center, Moneta, and Rocky Mount, VA. There is no fee! There is a gift shop managed by our Cooperating Association, Eastern National. When my family and I visited the Booker T Washington National Monument earlier this year, I admittedly, had very low expectations. I knew Booker T Washington was a famous American but I wouldn’t have been able to tell you exactly why. Still, this site was less than a 3 hour drive from our house and it was one of those rare weekends where we had a free saturday. So, we loaded up the minivan and headed on out. The drive from our house near Raleigh up to Hardy, Virginia was scenic and pretty as it weaved through small towns in northern North Carolina and into southern Virginia. When we arrived, the first thing we remarked was how large it was! As Timothy mentioned, because of this site’s National Monument status, we figured this would be a short visit to see a landmark and then a quick drive back home. As we drove up the road we saw a farm with horses, pigs, and chickens! There was a very nice Visitor’s Center with creative and unique interactive displays. Kriss Kross will make you wanna jump jump. While at the park you can see the slave house, the tobacco barn, and a marker where the “big house” was located. The site also has great trails that made for a very enjoyable walk through the site’s grounds. We had such a great time at Booker T Washington National Monument. We picked a gorgeous day, we learned a lot, and we captured some great photos! 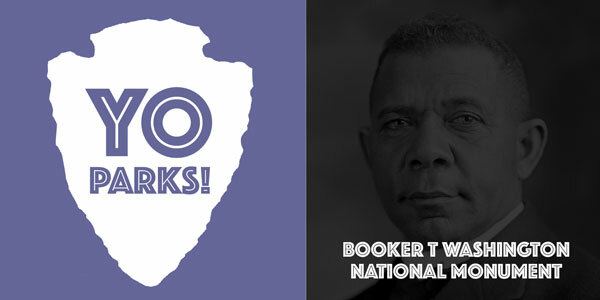 Plan your trip to Booker T Washington National Monument! Directions to Booker T Washington National Monument! Have you visited the Booker T Washington National Monument? Tell me about your experiences in the comments! Have a question about this park? Fire away in the comments and I will try to get it answered for you! 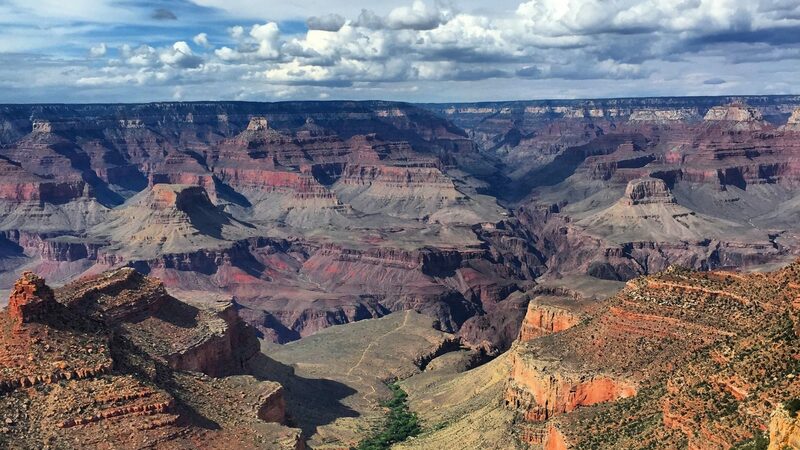 Our "Wow" Vacation to 12 National Parks! ⟵Learn About Petrified Forest National Park :: YoParks!